The Yu-Gi-Oh card game has evolved greatly over the decades; we now have synchro, xyz, pendulum, and link monsters added to the fray. Of course, one constant throughout the year iss the importance of the monsters in your deck. Their ATK/DEF scores and especially effects are what will make or break your duel. Still, many players overlook defending themselves when plans go haywire. The best duelists know to always hide an ace up their sleeves, enabling them to stall until prepared for a counterattack. 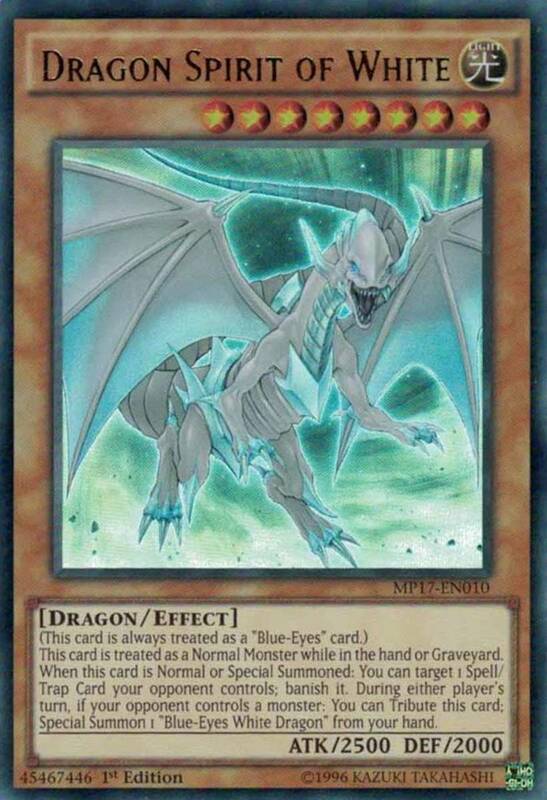 To this end, let's review the ten best defensive Yu-Gi-Oh monsters! Are these guys always going to be super-competitive in tournament play? Not always, but they're still fun and powerful cards. Just watch what you say around them—they get defensive. Some of today's monsters have "flip" effects. These are simply effects that activate after a monster is flipped face-up after being set into defense position. Night Assailant suffers from pathetically low ATK and DEF; he's more of a night tickler. However, he wields two potent effects. First, when he's flipped face-up, you get to target one of your opponent's monsters and destroy it, making Assailant a nice removal option. 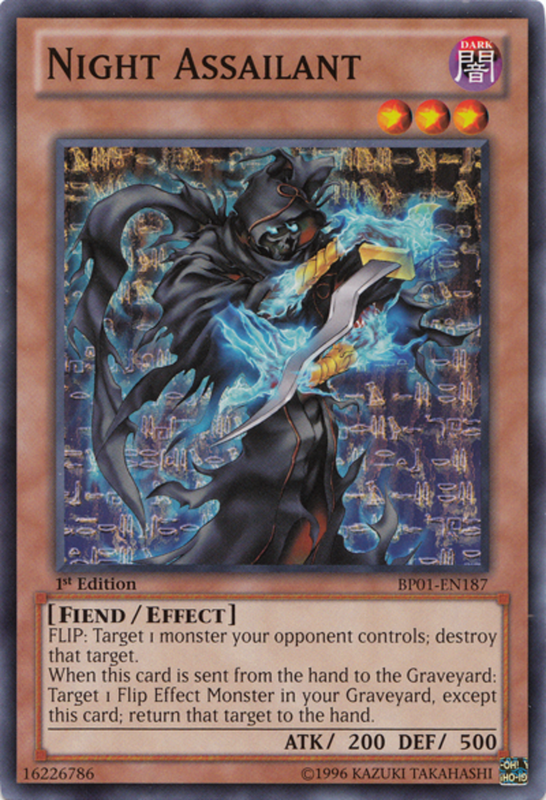 Second, if he's sent to your graveyard from your hand, you're allowed to reclaim a flip effect monster from your graveyard to your hand, essentially negating the hand disadvantage. A versatile and dangerous card, Assailant especially aids flip decks but offers value to any assortment. Next, the amusingly named Dandylion. Again, this monster has low ATK and DEF, but an incredible effect: Dandylion summons two tokens in defense position when it's sent to the graveyard. You can sacrifice these tokens to summon one of your stronger monsters, or simply use them as shields to absorb some of your opponent's attacks. The great thing about Dandylion is that its effect activates no matter how it's sent to the graveyard. Traveling there from the field, hand, or deck will all summon the tokens. 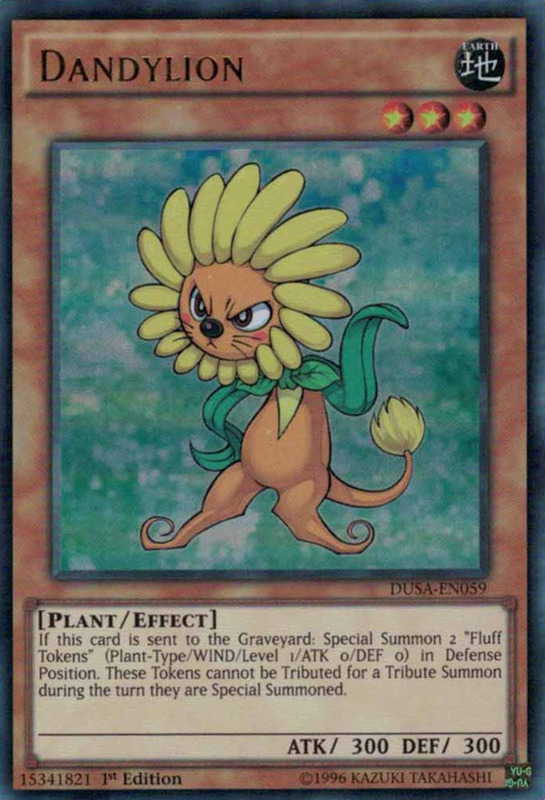 Update: Dandylion's fierce powers often land it in the banned list, so be sure to check the current illegal cards before bringing it to an official competition. Next, a personal favorite and surprisingly rare entry, Golden Ladybug. 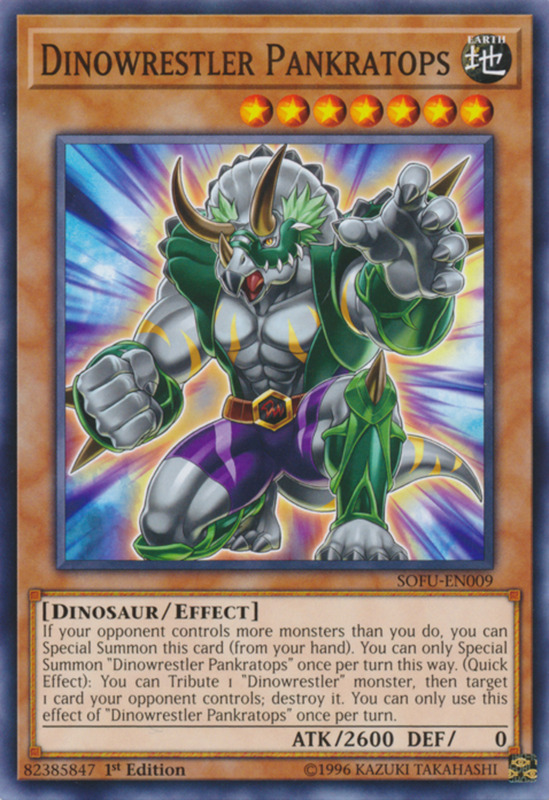 Its battle stats are atrocious, but that's irrelevant—this monster doesn't belong on the field Why? Its effect activates directly from your hand: during each of your turns, you can reveal it to gain 500 life points. Simple, but effective. In longer matches (common thanks to the slow-down from link monster extra deck regulations), you can gain thousands and thousands of life points, allowing you to endure many more attacks from your opponent. Since this card activates from your hand, it's tricky for your opponent to remove, making it possibly the best long-term life generation in the game. Plus, in desperate situations, you can always place Golden Ladybug into defense position on the field to block one attack or use it as discard fodder. Finally, a monster with a respectable DEF stat! Dupe Frog's 2000 lets it survive against most lower-leveled enemies, and it brandishes two helpful traits. First, when this amphibian is face-up, your opponent cannot target any other monster for an attack! Next, if Dupe Frog is destroyed, you're allowed to add one "Frog" monster from your deck to your hand—Flip Flop Frog and Treeborn Frog being excellent choices. 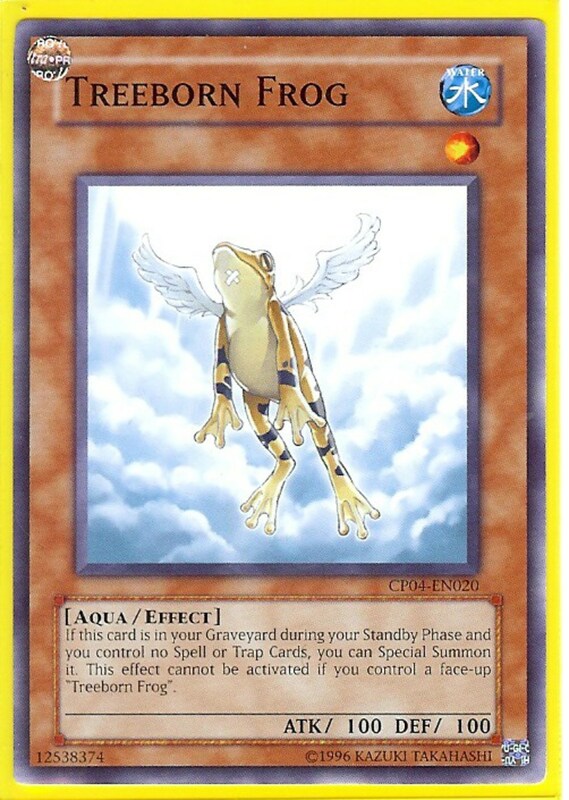 Despite low stats, Treeborn Frog is one of the best defensive cards in the game. 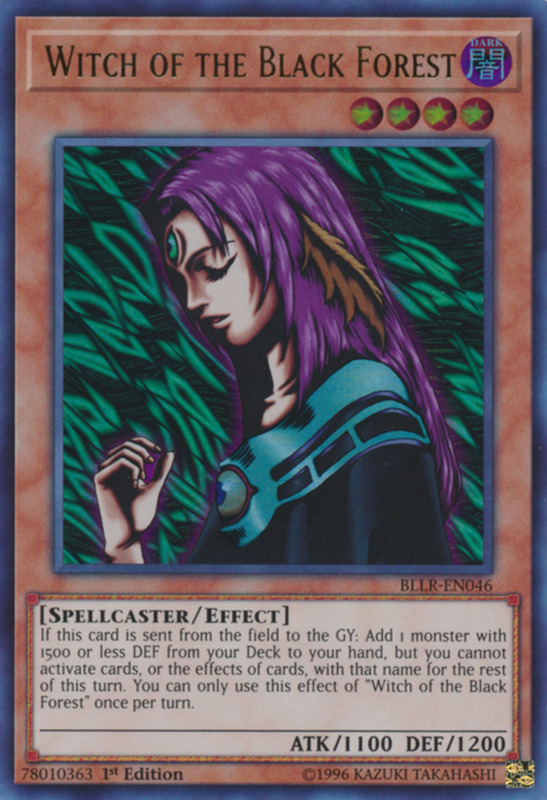 Its effect can activate while in your graveyard: At the beginning of each of your turns, if you have no spell or trap cards on the field, you can summon it. From there, what you to do with this free summon is up to you. Sacrifice it for a tribute, keep it in defense to block an attack, or use it as synchro monster material. 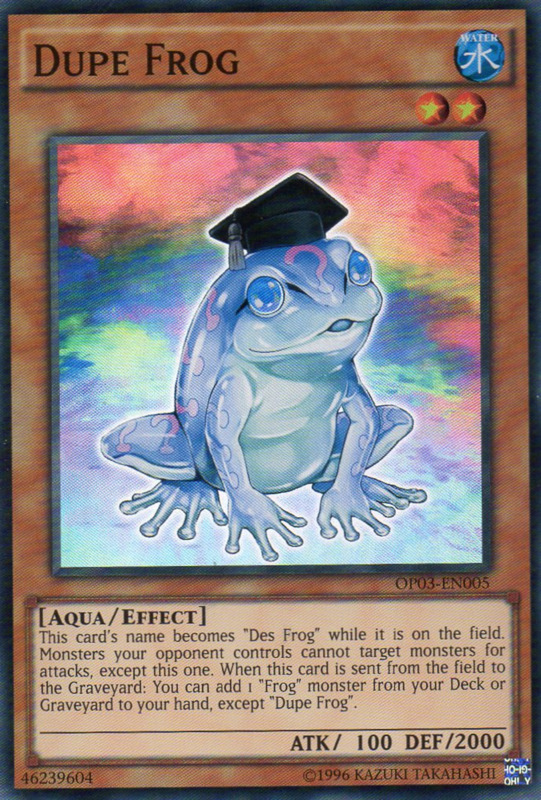 No matter what you pick, you can resummon the frog at your next standby phase if your spell and trap zones are still empty. Because Treeborn Frog's effect activates in the graveyard, it's a great card to use when an effect forces you to discard from your hand. Throw this creature away, and turn that discard into an advantage! Also, it combos superbly with the Superheavy Samurai monsters thanks to their monster-only graveyard conditions. 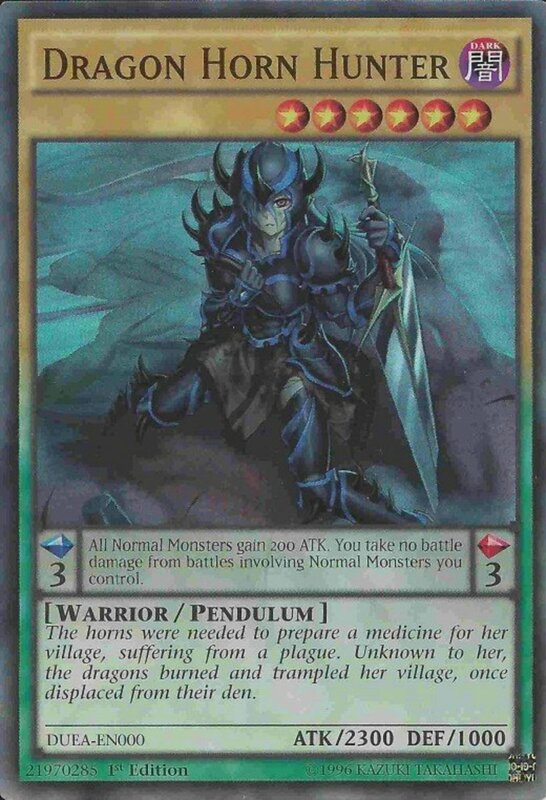 Admittedly, because pendulum scale cards count as continuous spells, Treeborn can be difficult to incorporate ideally into pendulum decks, but it's still a fierce monster for many builds. 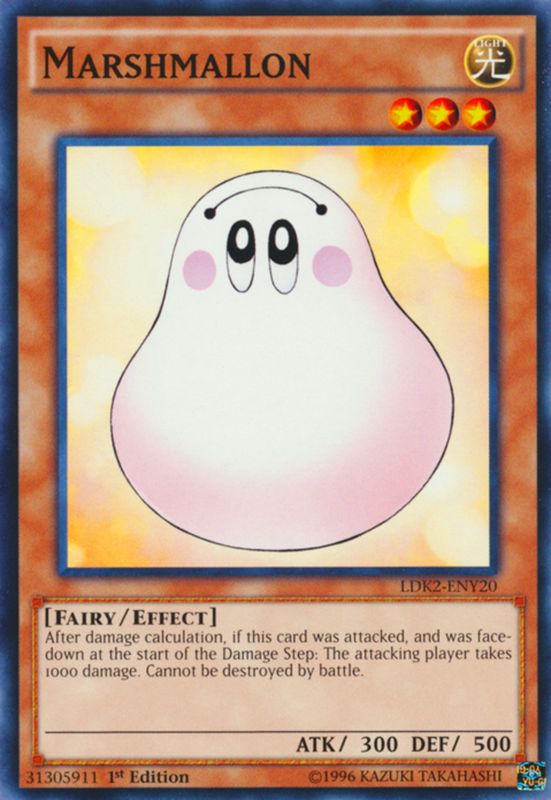 Third place goes to the deceptively cute Marshmallon, whose two effects benefit any deck. First, it cannot be destroyed in battle. That's already sweet, but Marshmallon also inflicts 1000 damage to your opponent when they attack it while its face-down. One thousand damage is nothing to sneeze at, allowing Marshmallon both offensive and defensive potential. Just watch out for monsters with piercing effects, which inflict excess battle damage to players when attacking defense position monsters. When flipped (don't flip the bird, kids), this formidable birdbrain lets you choose two monsters on the field, and return them to the hand. This removal works particularly well on extra deck-summoned creatures, who return to the extra deck rather than the hand, leaving your opponent high and dry. 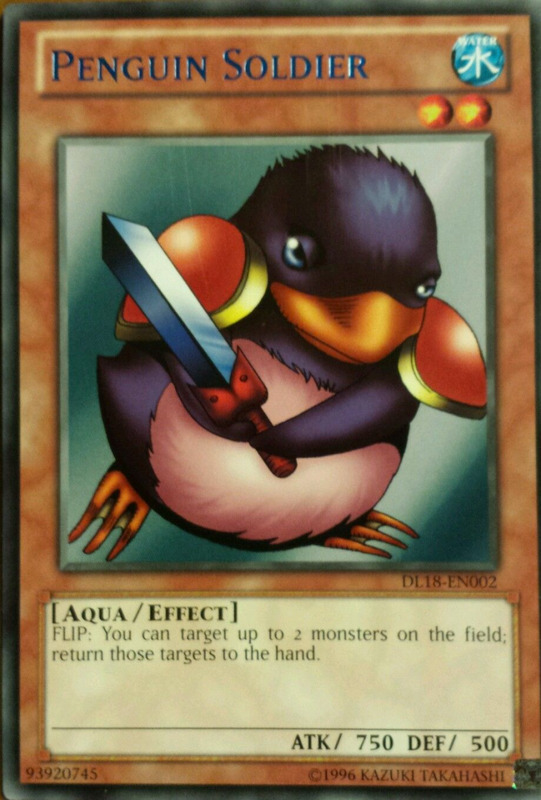 Plus, you can even target your own monsters with Penguin Solider—including itself! Here's a combo: set it in defense mode one turn. Then, if it wasn't attacked, flip it face-up on your next turn. 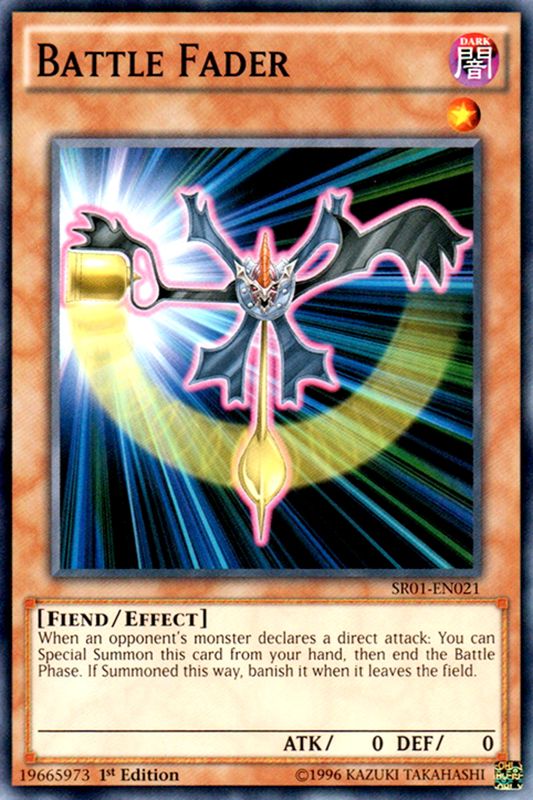 Its effect will activate, and you can return it to your hand (ready to be set in defense again) as well as one of your opponent's monsters. Or, you could return itself and another of your flip cards to your hand, in order to reuse both flip effects again! Protect Penguin from danger with other defensive tricks like Swords of Revealing Light and Scrap-Iron Scarecrow and watch as your opponents consistently fail to keep their ace monsters in play. A card that's aged remarkably well, the mighty Battle Fader shields any assortment. 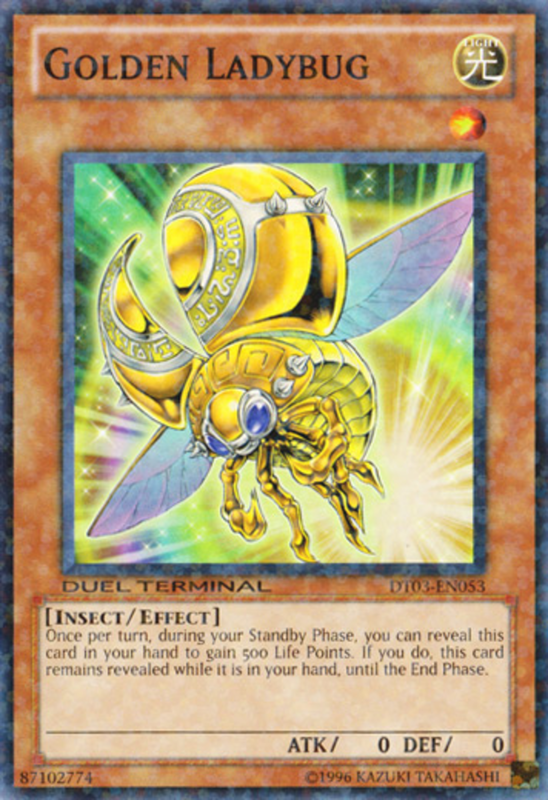 It bears similarities to Golden Ladybug: both have zero ATK/DEF and brandish a hand-activated effect. However, rather than regaining life points, Fader's effect activates when your opponent attempts a direct attack (when you have no monsters to block): it special summons itself from your hand and immediately ends your opponent's battle phase. This not only ends your opponent's opportunity to attack for that turn, it also places a monster on your field, setting up for your next move. Now you can tribute Battle Fader to call out a powerful monster, use it as material, or simply keep it around to block one attack on your opponent's next go. 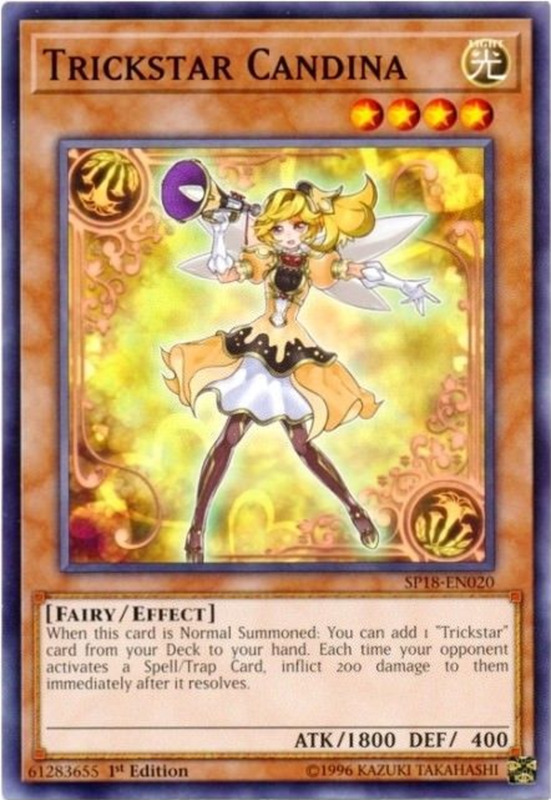 Finally, unlike traps used for protection (Mirror Force anyone? ), Battle Fader isn't vulnerable to field wipes, as it rests dormant in your hand until needed. Don't overlook this awesome barricading card when constructing your deck! Hopefully you've enjoyed reviewing some of the game's best defenders. With thousands of monsters to buy, there are plenty of superb guardians to select from; be sure to browse your archetype and see what specialty options you have available before you shop. 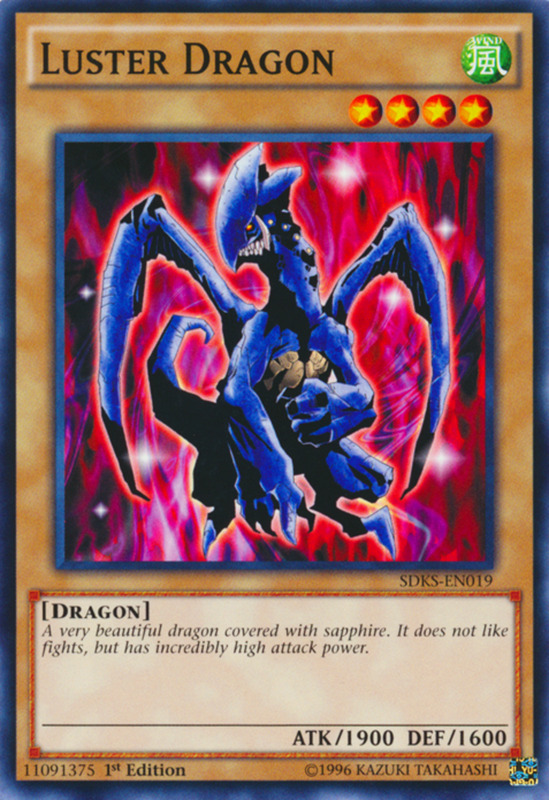 As we eagerly await Konami's next monster set, let me know which creature you favor, click here to review more awesome stall cards, and I'll see you at our next Yu-Gi-Oh countdown! True, I place Kuriboh behind those two, but you never know when an old card will fit into a new deck. Updated variations like Rainbow Kuriboh also help keep the little guy relevant. 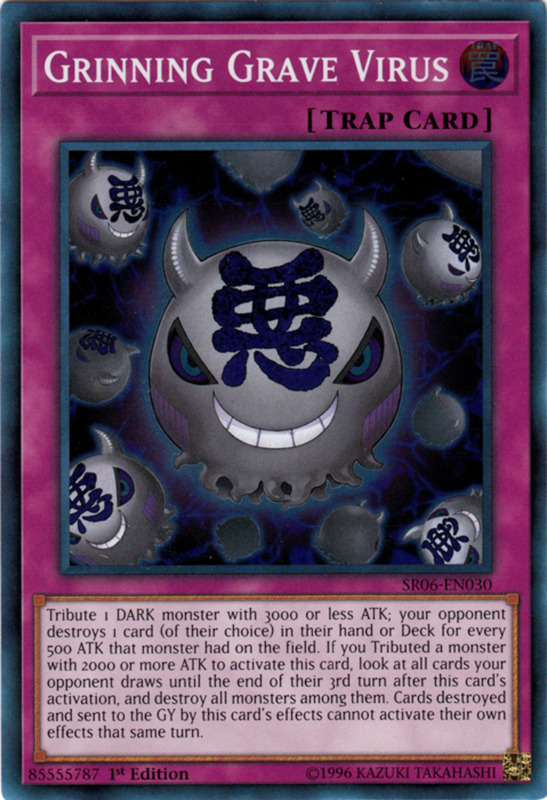 With cards around like swift scarecrow and battle fader, kuriboh would look bad right?